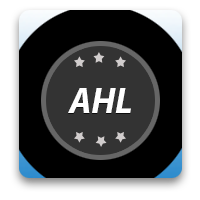 The American Hockey League (AHL), founded in 1938, is the top tier of the NHL’s developmental league. The league, commissioned by David Andrews consists of 30 teams, organized by two conferences. The Eastern consists of the Atlantic and North divisions, while the Western Conference is made up of the Central and Pacific divisions. Fans watch their favorite teams play in 76 regular season game from October to April. Every year, the two teams that survive the division & conference finals earn the honor to play for the Calder Cup Trophy.